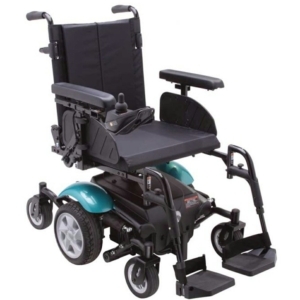 If you're after a folding electric wheelchair which allows you to move around freely and independently, then one of our compact powerchairs may be perfect for you. We have chairs that tilt and recline, as well as wheelchairs that are suitable for both indoor and outdoor use. The majority of chairs in our range have amazing padded seats for comfort, as well as expert technology built into the frames. If you would like to know more about the motors in our compact powerchairs, please speak to a member of staff at a Millercare branch. Feel free to use our branch locator tool to find the one closest to you. 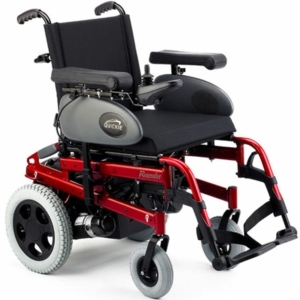 Our Liam Compact Wheelchair is a top of the range compact electric wheelchair with a robust design and great suspension. 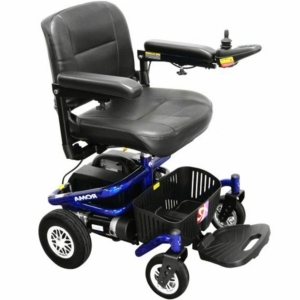 The user can get in and out of the powerchair comfortably. This model also tilts and comes in two designs. 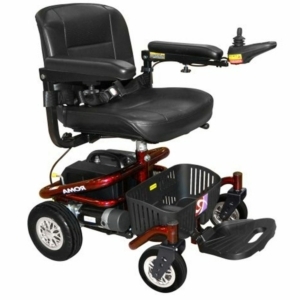 We also offer other tilting wheelchairs. 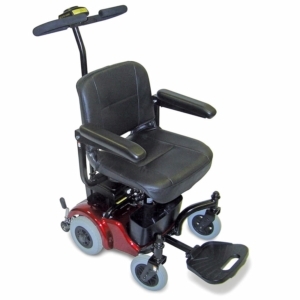 If you are after something a lot more manoeuvrable in our compact power chair range, why not take a look at our Quickie Rumba wheelchair. 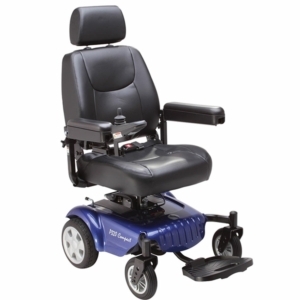 This product is ideal for users and healthcare professionals alike who need to adjust the seat regularly. It is also suitable for outdoor use. This product is only available instore. We also offer electric wheelchairs for outdoor use which also allow for customisable settings, seating, and an expandable control system.